A company issued 4000 shares of Rs. 100 each at a premium of Rs. 10 per share payable Rs. 20 on application, Rs. 50 on allotment (including premium) and Rs. 40 on final call per share. 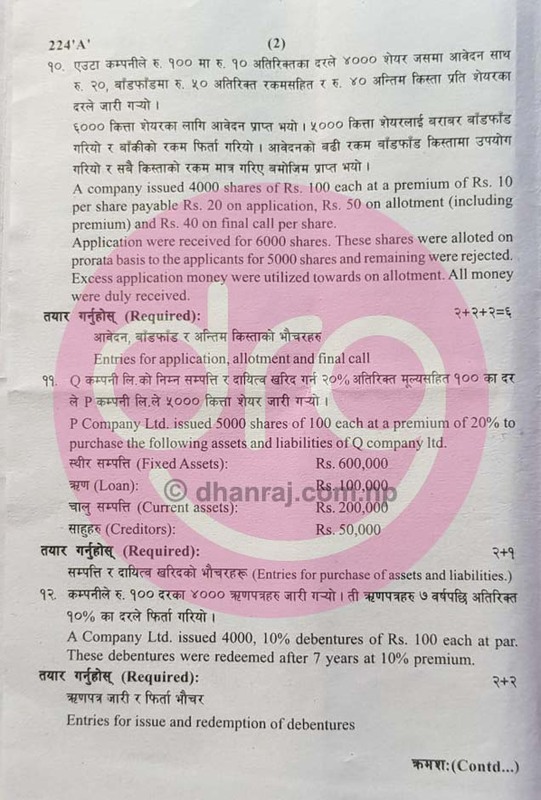 P Company Ltd. issued 5000 shares of 100 each at a premium of 20% to purchase the following assets and liabilities of Q company ltd.
A Company Ltd. issued 4000, 10% debentures of Rs. 100 each at par. These debentures were redeemed after 7 years at 10% premium. 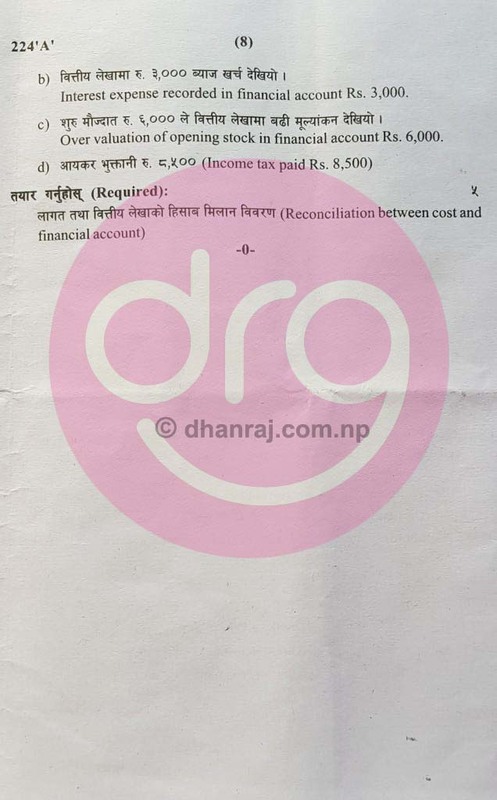 Prepaid rent Rs. 6,000 was expired. Store ledger under First In First Out (FIFO) Method. Standard output in a day of 8 hours is 56 units. Rate per unit is Rs. 100 and a worker worked 180 hours in a month. Factory overhead based on direct labour and other overhead based on works cost and factory wants earn 25% profit on sales. 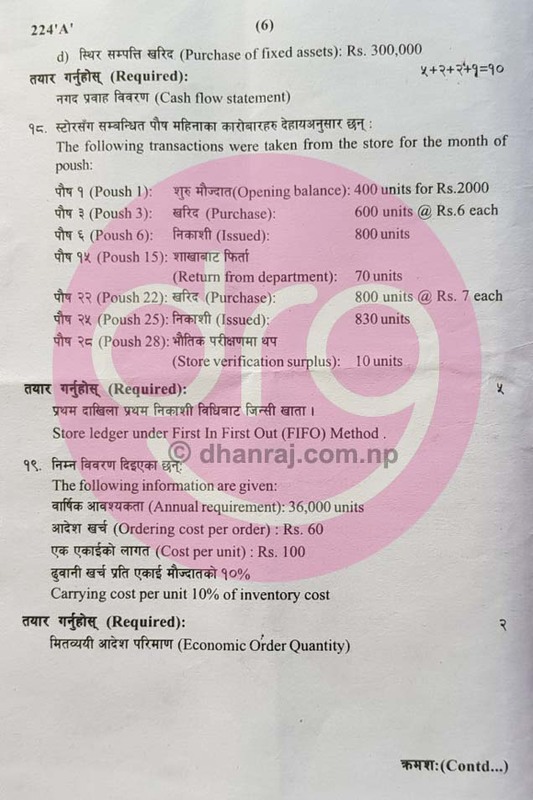 Net profit as per financial account was Rs. 60,000. On reconciliation, the following facts were noticed. 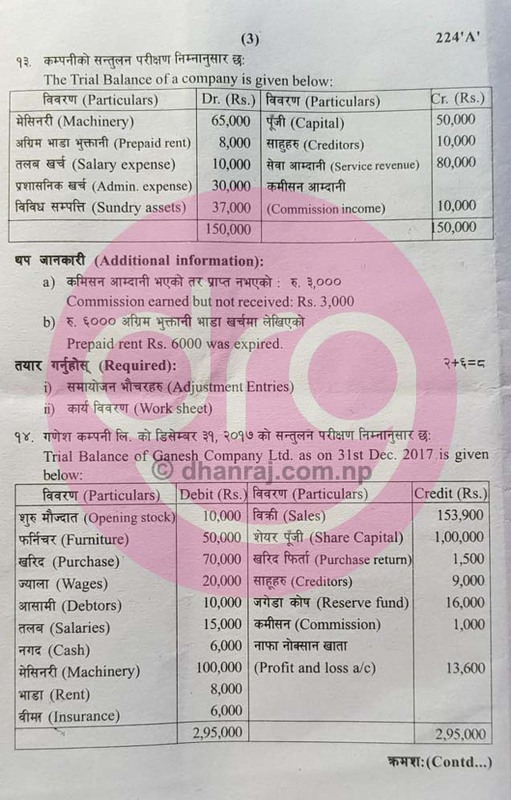 Factory overhead under recorded in cost account Rs. 8,000. 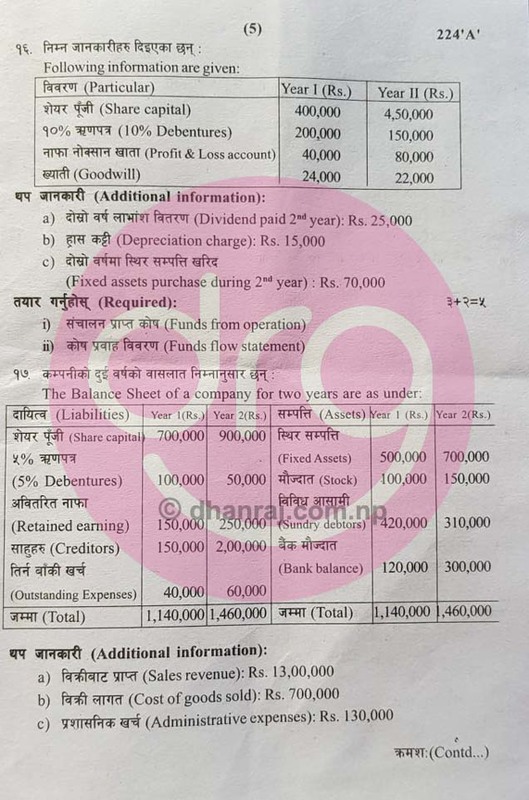 Interest expense recorded in financial account Rs. 3,000. 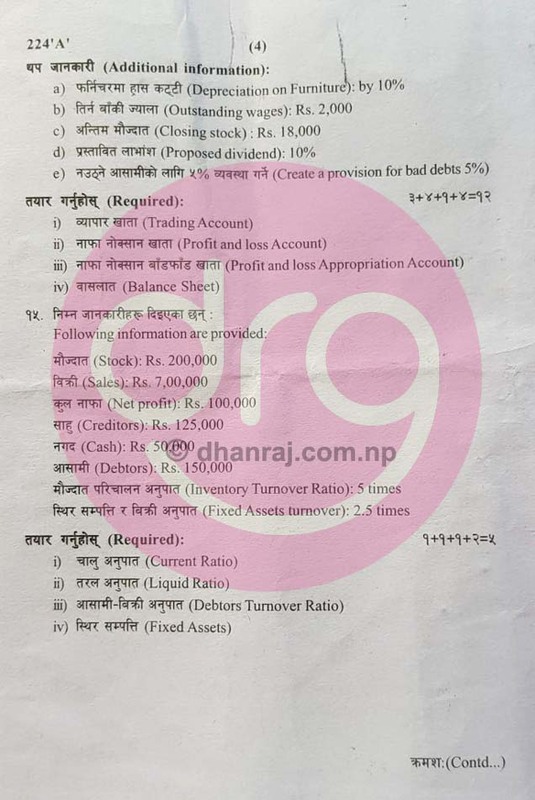 Over valuation of opening stock in financial account Rs. 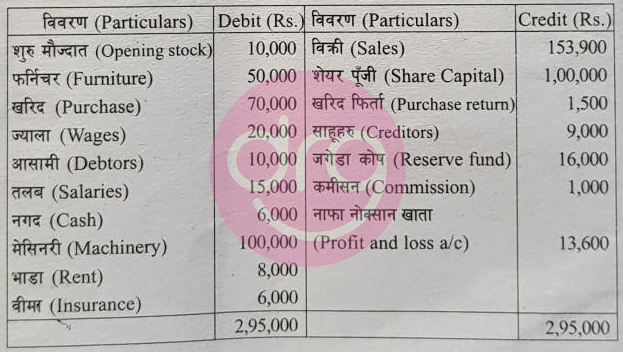 6,000.
d) आयकर भुक्तानी रु. ८,५०० (Income tax paid Rs. 8,500). 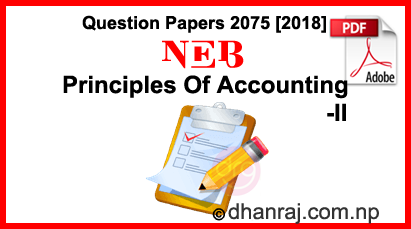 0 Response to "Principles Of Accounting - II | Class 12 | Exam Paper 2075  | National Examinations Board"